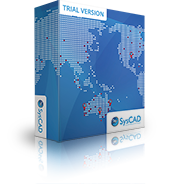 In addition to international SysCAD office locations, we have non-exclusive SysCAD representatives based in Chile and China who can provide regional bilingual support for SysCAD sales enquiries, training and support. All SysCAD license, support and maintenance agreements are with KWA Kenwalt Australia. Shenyang Aluminium and Magnesium Institute (SAMI) are non-exclusive Chinese representatives based in Shenyang. Promet101 are Spanish representatives for Chile and Peru based in Santiago. By clicking submit below, you consent to allow SysCAD to store and process the personal information submitted above to provide you with the content requested.